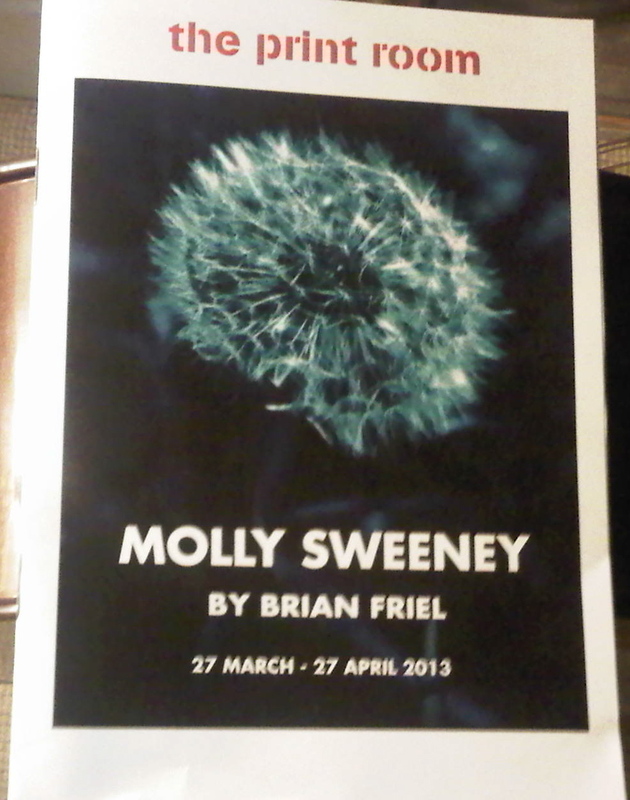 Currently at The Print Room (a very lovely and intimate theatre near Westbourne Grove that I have only just discovered), Molly Sweeney first appeared in 1994. Inspired by the playwright’s own cataract operations in 1992, the play consists of a series of monologues from three performers: Molly Sweeney (Dorothy Duff), who has been blind since 10 months of age, Molly’s husband Frank Sweeney (Ruairi Conaghan), and the surgeon Mr Rice (Stuart Graham), who operates on Molly in an attempt to restore her sight. This is an intense piece, superbly acted, which explores not just the meaning of sight and vision and the disconnectedness between seeing and understanding, but also addresses issues around identity, how we define ourselves, how we allow others define us, and the tragic consequences that can ensue when we change who we are, not for our own sakes, but for those we love. The play is primarily the story of Molly, but it is also the story of Frank, whose mission and obsession becomes the restoration of Molly’s sight, and of Mr Rice, whose interest in operating on Molly takes on a personal agenda that goes beyond his patient and her needs. A microcosm of life itself, the three characters represent the world at large, the interconnectedness and conditionality of all our relationships, and how self-serving and destructive they can become.